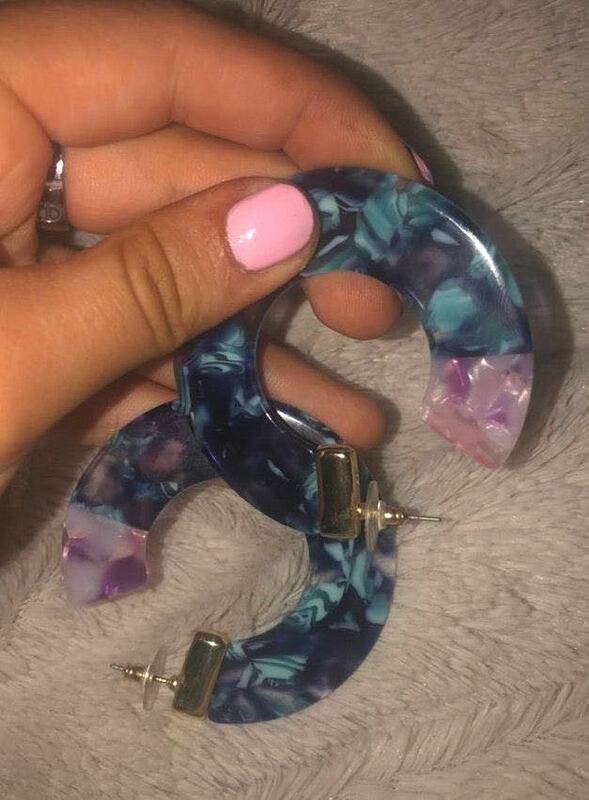 Blue pink and purple hoops. Marble look. Thick hoops, super cute! Statement earrings to dress up any outfit!